CURT Pintle Hooks are commonly used in the construction and agricultural industries. These hooks are ultra-tough, drop-forged steel design, and built to last. This product includes safety pin and bolt kit. There are four part numbers with pintle capacities of 10,000, 20,000, 30,000, and 60,000 lbs. Vertical load capacities are 2,000, 4,000, 8,000, and 12,000 lbs. 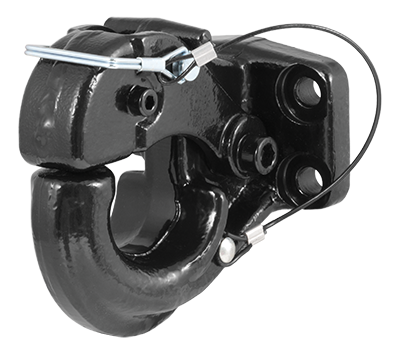 Each Pintle Hook has a Carbide finish.